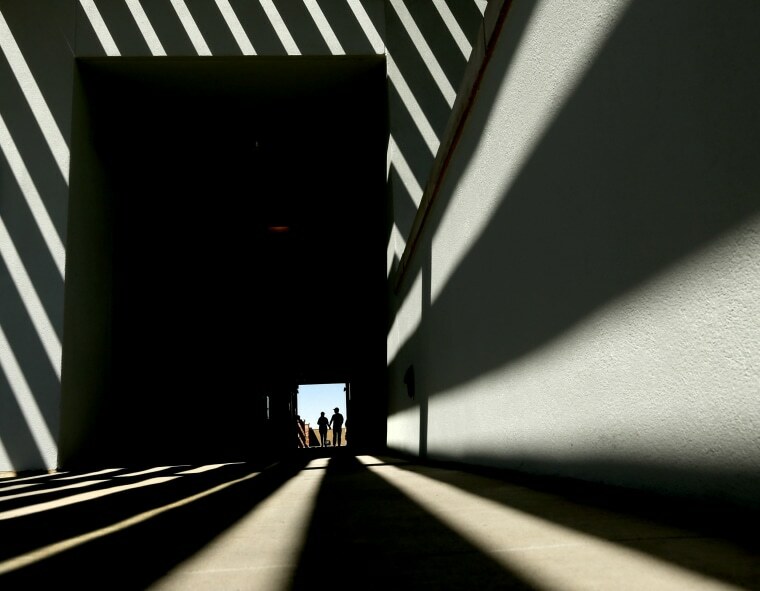 An ice bridge cracks, elephants prepare to retire and more of Thursday's best news photos. 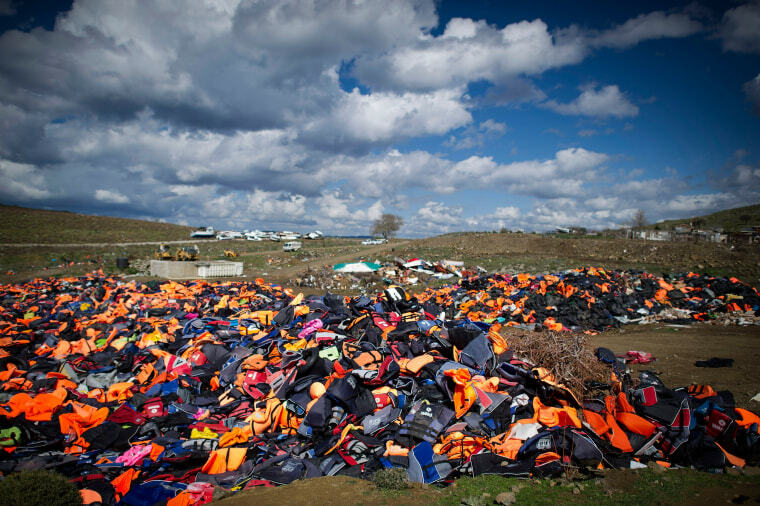 Hundreds of life vests used by refugees and migrants lie on a makeshift rubbish dump hidden in the hills above the town on March 10, 2016 in Mithymna, Greece, on the Island of Lesbos. 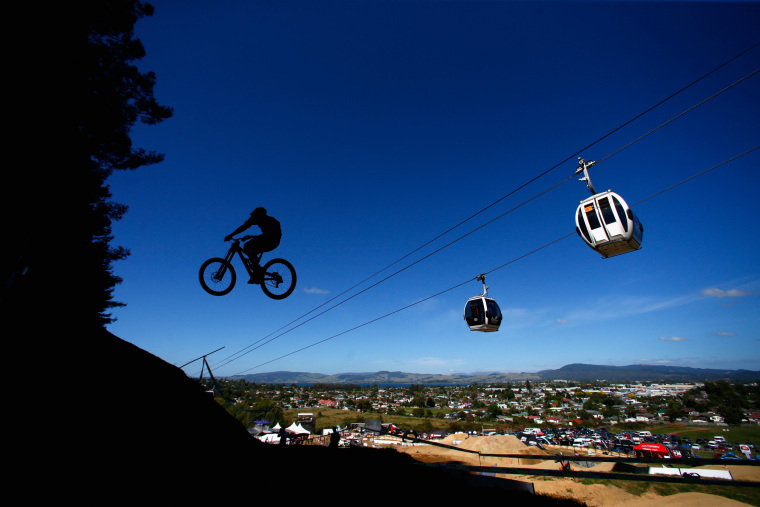 A rider practices the downhill course on Day Two of the Crankworx Mountainbike Festival in Rotorua, New Zealand. 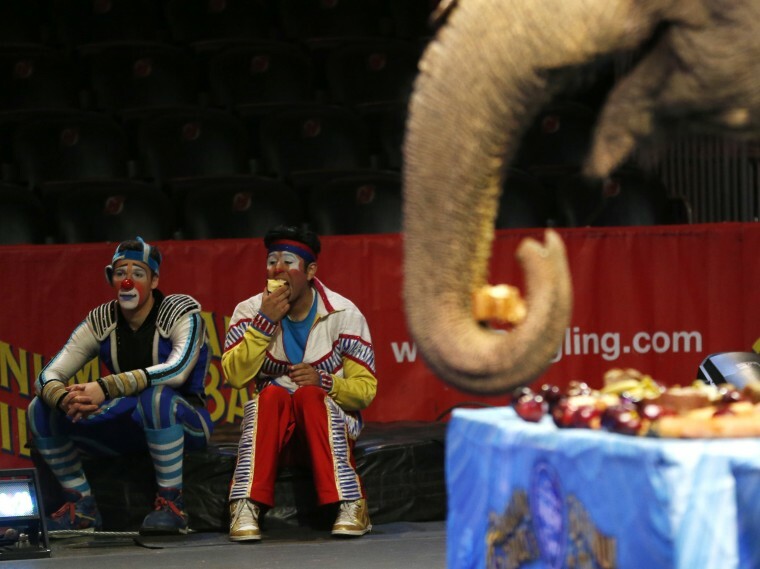 Clowns rest while a Ringling Bros. and Barnum & Bailey elephant eats during a brunch at Prudential Center in Newark, N.J. The brunch was held as part of a sendoff event for the elephants, which will be retiring from circus performances and be moved to the circus' Center for Elephant Conservation in Florida. 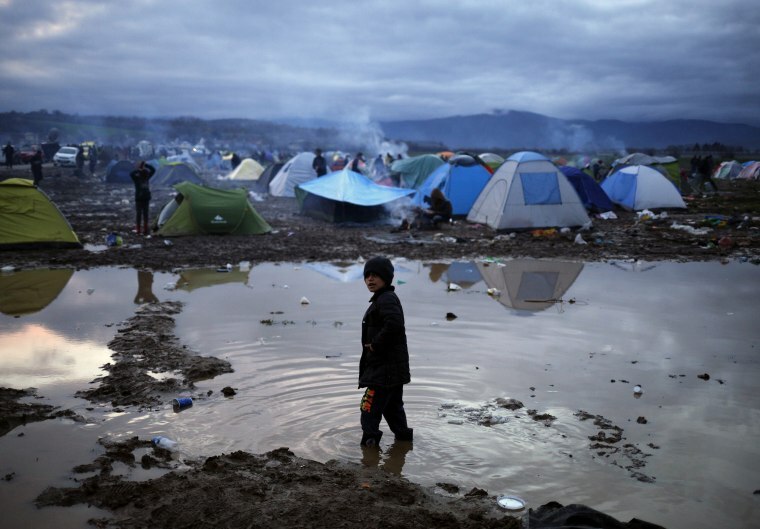 A migrant boy stands in a puddle in a makeshift camp on the Greek-Macedonian border, near the village of Idomeni, Greece. Thousands are camped out in Idonmeni, desperate to cross the blocked border Macedonian border. 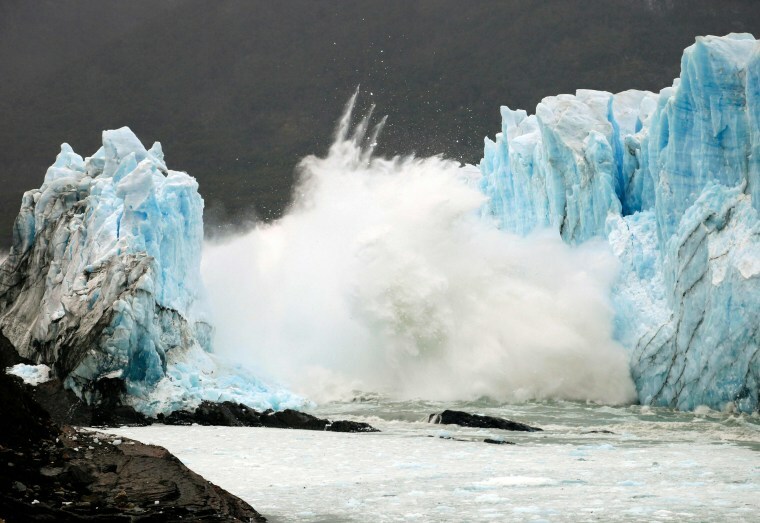 An ice bridge cracks from the wall of the Perito Moreno Glacier in Los Glaciares National Park, southwest Santa Cruz Province, Argentina. 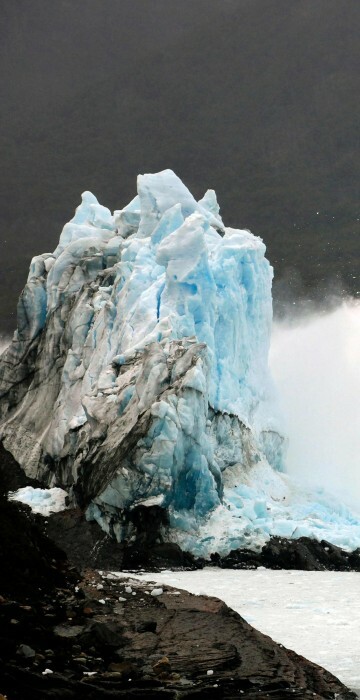 The Perito Moreno is one of 48 glaciers fed by the Southern Patagonian Ice Field in the Andes mountain range. Children sit in the port of Piraeus as they wait with other migrants and refugees to be transferred to a refugee camp in central Greece. 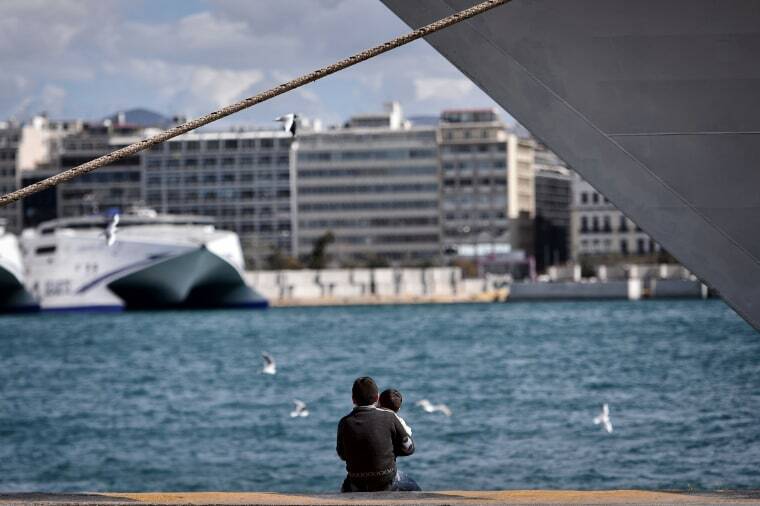 Greek authorities began transporting hundreds of migrants and refugees, stranded in Piraeus port to shelters in central Greece. Some 42,000 people are stranded in Greece following border restrictions and closures by Austria and several Balkan countries. 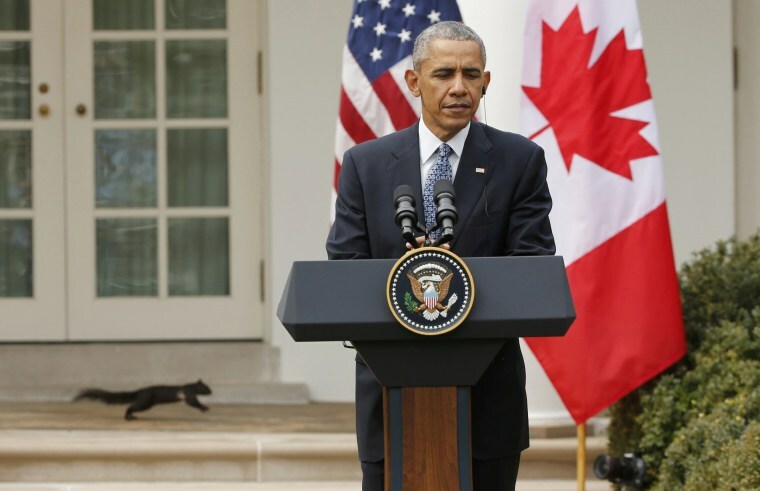 A squirrel runs down the White House colonnade behind President Barack Obama during a joint news conference with Canadian Prime Minister Justin Trudeau in the Rose Garden. 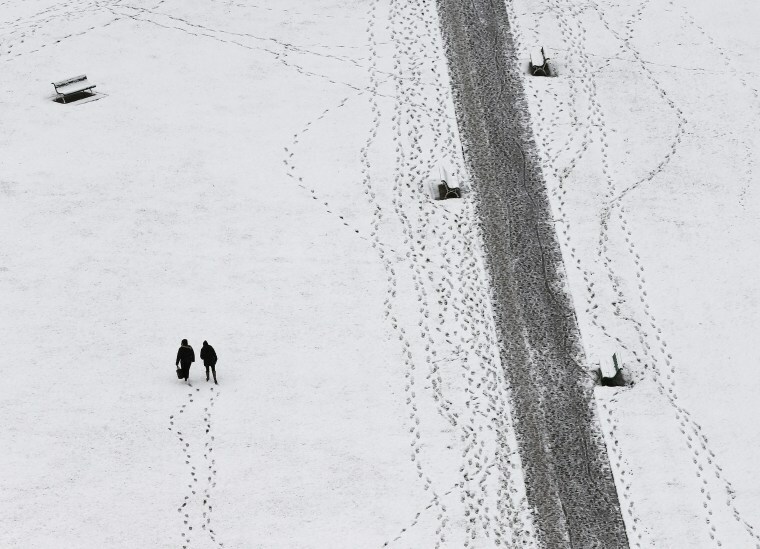 People walk in Pamplona, Spain, after heavy snowfall hit northern Spain. 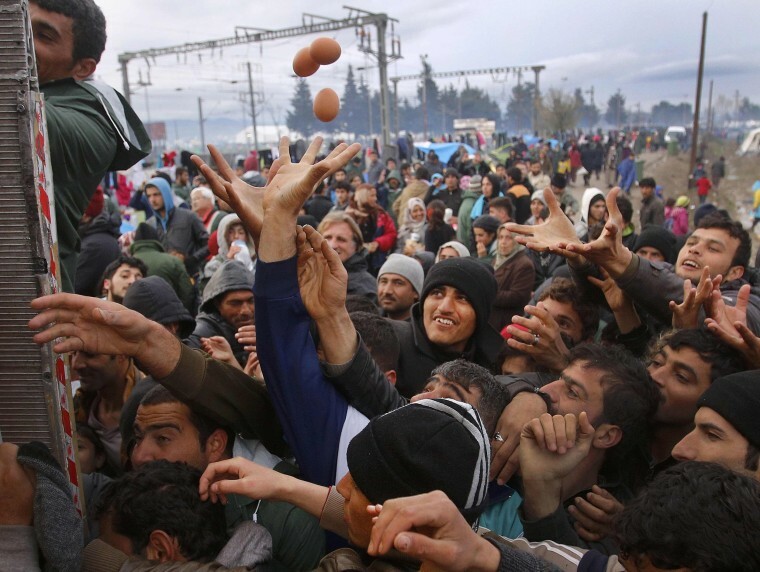 Migrants and refugees reach for food being distributed at the makeshift camp on the Greek-Macedonian border near the village of Idomeni, Greece.